Bloody Butcher Corn grown in W.Va.
What foods did your parents and grandparents cook when you were growing up? What memories of food do you hold onto after all these years? This week on Inside Appalachia, we'll talk about food from our region. We'll explore what happens when fancy chefs start cooking up our traditional fare, and we discuss how what we consider to be staples are called "trash food" by others. It’s no secret that some of the more urban or modern restaurants will recycle food concepts and call it “new” or “rediscovered.” But why did our cultural dishes get a bad reputation in the first place? Author and editor Ronni Lundy will also tell us about her experiences with food growing up as a young girl in Appalachia. For many, beans and cornbread are as central to growing up in Appalachia as the mountains themselves. But did you know that these beans and seeds have a history that dates back to Native American culture? 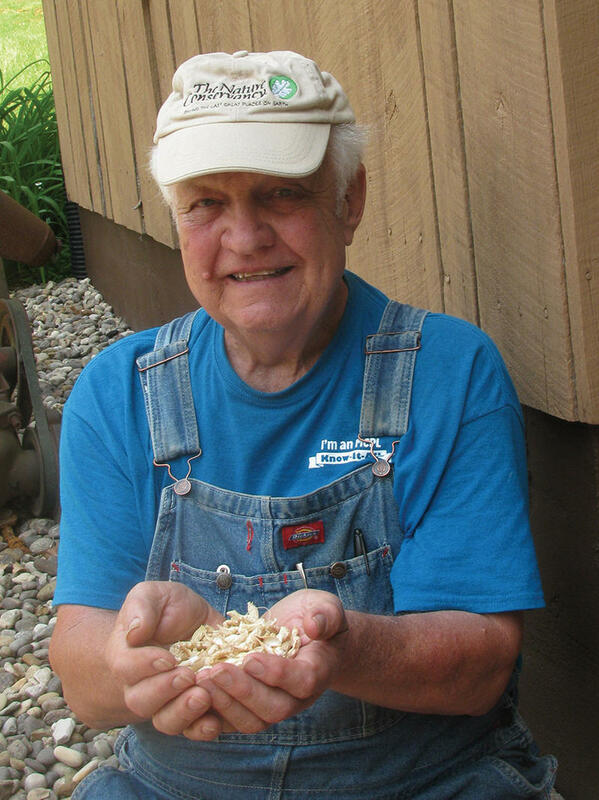 Farmer and author Bill Best has spent his life farming and learning all about the different ways that beans have been used throughout Appalachia over thousands of years. His new book is called Kentucky Heirloom Seeds: Growing, Eating, Saving. “To an archeologist, a bean is a bean is a bean… and I was the first one to point out that the beans were being grown for different reasons," Best said. He'll tell us about how beans have been more influential in our past than we might think -- and we'll hear why they may be in danger of extinction. The Appalachian Food Summit began as an online conversation between Appalachian chefs, scholars and farmers who have a stake in the region’s food culture. It grew into annual, in-person gatherings of Appalachian “foodies,” if you will. This year was the group’s fourth summit, and the first time they’ve met in West Virginia. The Appalachian Food Summit this year was titled “Cornbread and Roses, Solidarity, Resistance, and Subsistence in Appalachia,” and as the name suggests, the two-day event wasn’t just focused on celebrating foods from our region. Of course, there was plenty of food served by local Appalachian chefs, but speakers also led discussions on topics like how food intersects with politics, history—and even how food played a major role in the teacher’s strike in West Virginia earlier this year. Writers, chefs, scholars, and food lovers gathered in Bridgeport to talk about the role that food plays in daily life here in Appalachia. In this episode, we'll hear from Mike Costello, farmer and chef and one of the organizers of the Appalachian Food Summit.